As many readers know, I trust the Whole Dog Journal as a key source of information on dog health and welfare. So when the WDJ issues a warning, I pay attention. A few days ago, they published this: Hold Off on Those Oral Flea-Killing Medications. This came up just after Dora’s mom sent me a link to the FDA warning. Cali and Dora have both been taking Nexguard. Flea control is important, and I am not recommending stopping it completely. I do not have an “answer” — a single recommendation for all dogs. I do have some suggestions, with emphasis on this: What you choose depends on the climate where you live, the prevalence of fleas and ticks, your dog’s reaction to both flea bites and to the different treatments and preventives, and on how much time and effort you are willing and able to invest in keeping your dogs and home flea-free. If your dog is extremely sensitive to flea bites and fleas are abundant where you live, you might opt for stronger methods than if you live in a climate where fleas are less of a problem, for example. Newer oral flea control products like Nexguard, Bravecto, Credelio, and Simparica are the subjects of the warning. If you are using these, stop doing so until more is known. By “neurologic adverse events,” the warning mostly means seizures, but can also refer to tremors or loss of muscle control, which can mean stumbling or falling. These products are relatively new, and the FDA has received reports of such reactions. Most dogs do not have an adverse reaction, but … there are enough other options for parasite control that why risk it? Other oral flea preventives, like Trifexis, have their own histories of causing seizures in some breeds of dogs or individuals with a history of epilepsy or other seizures. Comfortis, AcuGuard, and ComboGuard use the same medication as Trifexis. I’ve used Trifexis and Comfortis; I am not thrilled with using strong chemicals on my dogs, but for people who live in, say, Florida, where fleas are a huge problem and many remedies simply don’t work, these are an option. Prescription topical preventives (Advantage, Advantix, FrontLine) are an option. In many parts of the world, mostly the warm, humid regions, the fleas are resistant to these and the topicals simply do not work. Where they are effective, and if you do not have to use them year-round, they might offer a solution. They have their own problems; they are potent neurotoxins, after all. You need to be careful when you apply them and when disposing of the containers. They are nasty, toxic chemicals. 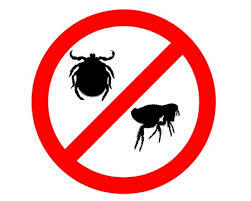 But if relatively easy, spring and summer flea or flea and tick control is needed, at least look into these. Some dogs react badly to these but, unlike with an oral medication, immediate and repeated bathing can reduce this reaction. I don’t recommend the over-the-counter topicals based on bad personal experience (severe reaction in a dog). A more holistic approach is also a possibility, but this is far more labor-intensive and might not be sufficient in places where fleas and ticks are more prevalent and hardy. This includes regular (1-2 times a week) washing of rugs, pet beds, etc. as well as some combination of natural repellents. Dogs Naturally has some suggestions and warnings in this article: 9 Tips for Safe and Natural Flea Control. Comments at the bottom of the WDJ article mention Neem oil, beneficial nematodes, food-grade diatomaceous earth, and more. I have not tried these and cannot vouch for their effectiveness. Other comments mention amber collars, Only Natural Pet’s flea repellent tags, and Arava natural pet products. Again, no experience with these, though, having looked at the websites, I’d be most inclined to try the Arava products or the Only Natural Pet topical. I wish there were an easy answer. Think carefully about your dog’s needs and the options for where you live. Please share your experience in comments, especially if you have tried any of the more natural approaches. I used Bravecto last summer and beginning of this summer out of desperation because nothing else was working and my dog’s flea dermatitis was driving her crazy, and me too! Who would have thought a little insect could cause so much suffering. But I recently discovered another product though called Wondercide which many people swear by. I will have to leave another comment later once I’ve found out if it works for us or not. Many thanks for this as Ray does take Bravecto. We have sent Ray’s vet clinic a link to the FDA report and will be interested to get their response.